September is National Preparedness Month, something we here at Mountain House take very seriously—and you should too! The theme for this year’s Preparedness Month is: “Disasters Happen. Prepare Now. Learn How.” Disaster preparation and emergency response are topics we regularly cover here at the Mountain House blog, and as part of fulfilling that National Preparedness Month theme we urge you to explore our “Survival” archives. Our focus in this article is on wildfire safety, with helpful information on how we can mitigate losses by utilizing defensible space tactics. Wildfires are among the most widespread and destructive natural disasters in the United States, though it’s important to emphasize that (with the exception perhaps of human-caused blazes) they’re also natural and necessary elements of most of our country’s ecosystems. In 2017, according to the National Interagency Fire Center, more than 71,000 wildfires burned better than 10 million acres in the USA. This year has been yet another intense one in the wildfire department, and many blazes are still burning. No better time than National Preparedness Month to bone up on wildfire safety—especially given September is the height of wildfire season in many parts of the country. We previously published a general overview on how to prepare for wildfires that we urge you to review. Today we’d like to narrow our focus to one of the most important elements of that preparation: maintaining defensible space around your home to reduce the likelihood it’ll ignite in a wildfire. This is especially relevant to those who live in the wildland-urban interface, where residential homes abut (or are immersed within) landscapes prone to wildfire; for the past several decades, a majority of the new homes built in the USA are within this risky (and typically beautiful) realm. Defensible space refers to a buffer zone around your home in which you actively manage vegetation and other landscape elements to reduce all-around flammability. It’s about fire-safe landscaping: firescaping, as it’s called. Defensible space is related to the concept of the Home Ignition Zone, or HIZ, which a retired USDA Forest Service scientist, Jack Cohen, defined back in the late ‘90s. Based on post-fire analysis, modeling, and experiments on how buildings ignite in wildfires, the HIZ encompasses everything within 200 feet of your home. 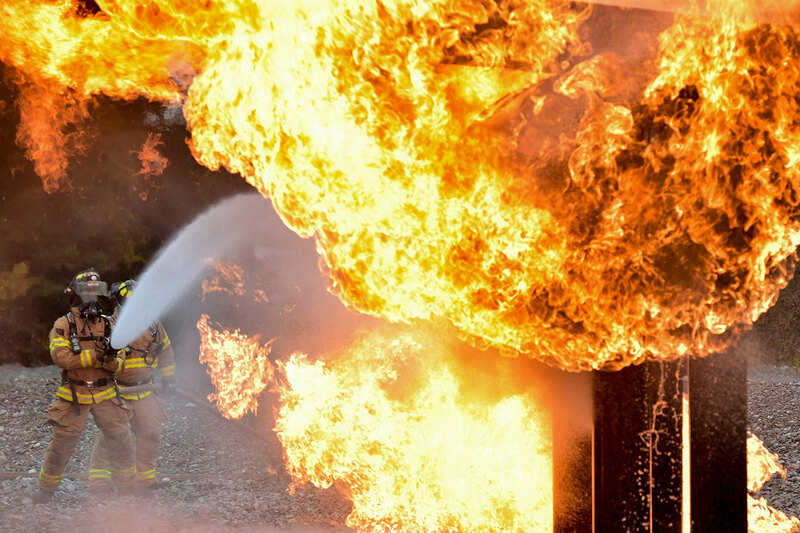 As the National Fire Protection Association explains, you should begin focusing on the Immediate Zone, as the house is what’s most vulnerable to catching flame by embers. Then move out to the hardscaping and landscaping of the Intermediate and Extended zones. You’ll also see references to two zones of defensible space in firescaping discussions. Zone 1 of defensible space extends out 30 feet from your house and any other structures, basically corresponding with the Immediate and Intermediate zones of the HIZ. Zone 2 of defensible space lies 30 feet and more out, associated with the HIZ Extended Zone. Keep in mind that your defensible space increases if your property is on sloping terrain; fire can spread more easily on slopes because flames can more efficiently pre-heat upslope fuel, and because of natural upslope and downslope breezes. It’s always important to consult wildfire-preparation and prevention resources specific to your area (for example, from a state forestry or extension service), because fire regimes vary wildly from ecosystem to ecosystem and from wildland-urban interface to wildland-urban interface. 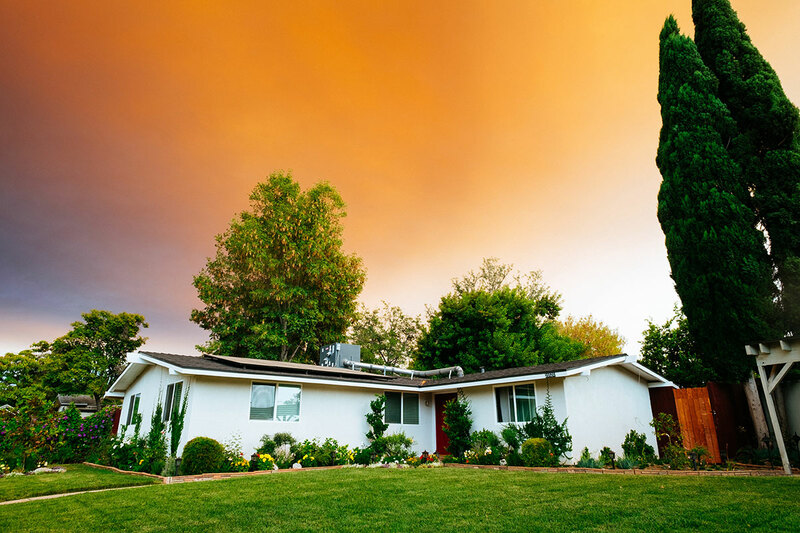 Protecting your home from wildfire means cutting down on the likelihood that the house and associated structures will catch flame, either directly or from plantings, lawns, woodpiles, and other property elements that ignite and then spread the fire. 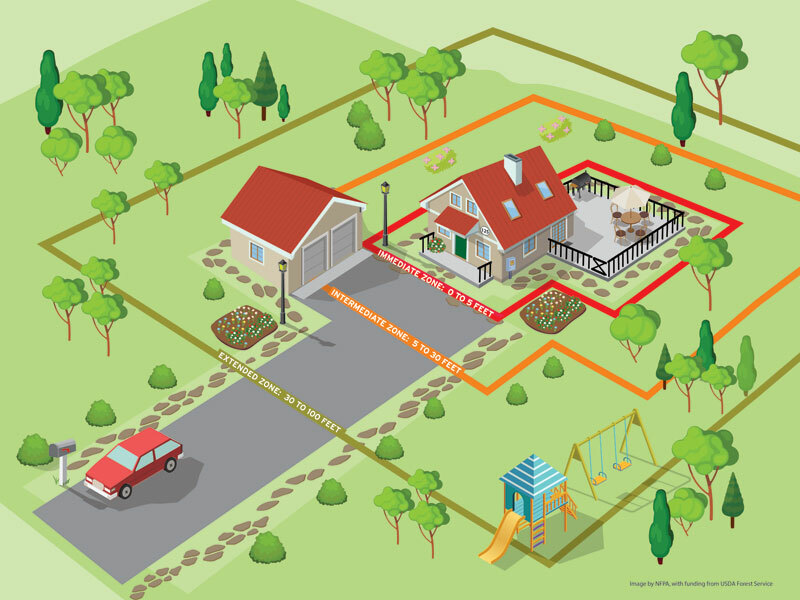 To begin, assess your home and property based on the geography of defensible space and the HIZ. Keep your roof, gutters, and vents clear of dead leaves, twigs, bark, and other potentially flammable debris. Place mesh screening over vents to cut down on ember infiltration, and over voids under porches, decks, patios, etc. to minimize buildup of flammable debris. Address any loose, damaged, or gapped shingles or roof tiles to keep embers from infiltrating the roof. Keep flammable materials away from exterior walls and the space beneath porches and patios: piled-up plant debris, mulch, woodpiles, propane tanks, etc. Prune and trim trees near your house so that branches don’t overhang the roof; remove dead limbs. Eliminate branches 15 feet or less from a chimney or stovepipe. Ideally keep vegetation out of the Immediate Zone, using stone, rock, concrete, and other hardscaping material instead. Keep your lawn mowed to four inches or less. Prune large trees so that the trunk is clear of branches at least six feet up from the base. Low-hanging branches form what are called “ladder fuels,” named because fire can literally climb into the canopy via these handy flammable pegs. If shrubs adjoin the tree, keep the trunk clear of branches for a vertical distance at least three times the height of the shrubbery—or consider removing the shrubs entirely, as they’re also prime ladder fuels. Incorporate hardscaping—asphalt driveways, gravel or paving-stone paths, retaining walls on hillsides, and the like—to form fuel breaks. Remove vegetation from under and immediately around propane tanks. Keep that treetop-to-treetop spacing to a dozen feet or more between 30 to 60 feet from the home, and to six feet or more from 60 to 100 feet from the home. Any plant can burn given the right condition: You’re not going to find truly “fireproof” vegetation for your landscaping. What you can plant is fire-resistant vegetation, and in the sort of configuration that lessens the likelihood of carrying flame. Plants with low concentrations of sap and resin and high water storage are the best choices. Succulent groundcover herbs and shrublets in a mosaic with hardscaping help reduce fire risk. Keep flowerbeds isolated from one another with hardscaping or mowed grass. 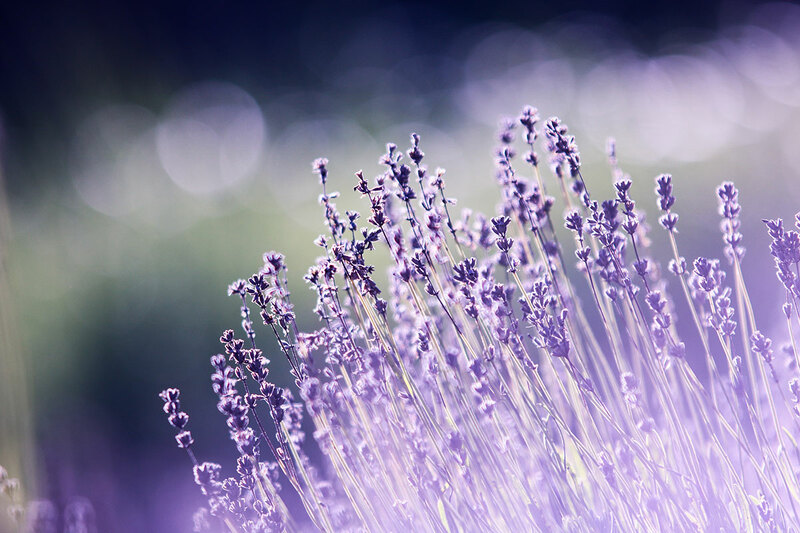 Favor non-resinous shrubs and keep them well spaced out. Those of us who live in the wildland-urban interface relish our proximity to untrammeled scenery, wildlife, and outdoor recreation, but across much of North America (and many other parts of the globe) such a setting demands not only wildfire awareness, but active preparation. You can’t assume wildland or municipal firefighters will protect your home in the event of a wildfire: You must take your own actions to reduce your vulnerability, and that means taking a hard look at your defensible space and doing the maintenance and management required to make it less combustible. And for general National Preparedness Month resources, head on over to Ready.gov! This entry was posted in Survival and tagged defensible space, emergency preparedness, firefighters, wildfire by Kelli Martinelli. Bookmark the permalink.